Research has shown that more than 35 million Americans experience at least one sinus infection (an episode of sinusitis) each year. Los Angeles’ leading ENT, Dr. Alen Cohen treats patients suffering from sinus infections in Southern California on a daily basis. Sinusitis (also known as rhinosinusitis) is the inflammation of the tissue which lines your sinuses, which results from infection. The infection can arise for any number of reasons including allergies, or any condition which causes congestion, including blockage of the nasal passageway, the common cold, a deviated septum, or nasal and/or sinus polyps. Once the sinuses are blocked, bacteria, viruses, and germs are able to grow leading to an often painful infection. Some people in Southern California are more likely to experience sinus infections than others. Smoking has been shown to increase the risk for sinusitis, as have other illnesses which require medication that suppresses the immune system. Other symptoms which patients suffering from sinusitis may exhibit include fever, loss of smell, discharge from the nose, toothache and even bad breath. In Los Angeles, Dr. Cohen has seen the numbers of patients presenting with acute sinusitis soar. Perhaps due to poor air quality, and urban sprawl, some strains of sinusitis have also evolved with increased resistance to antibiotics. For infection and pain that lasts up to 12 weeks, patients are diagnosed with acute sinusitis. Once the condition has persisted for more than 12 weeks, the condition is known as chronic sinusitis. 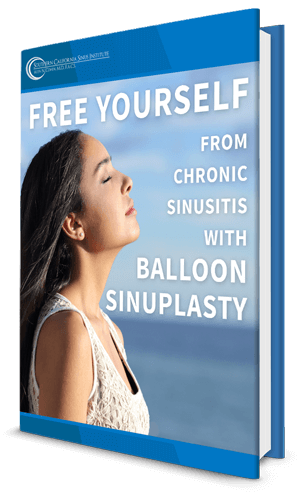 As Los Angeles’ best sinus surgeon, Dr. Cohen successfully treats acute and chronic sinusitis using the most effective and sophisticated treatments available. Acute sinusitis is often resolved through a course of antibiotics, nasal sprays, and other medications. For patients in Southern California suffering from chronic sinusitis, Dr. Cohen may suggest other minimally invasive treatment options to alleviate the pain caused by ongoing sinus infections. Contact us today if you would like to schedule an appointment with Los Angeles’ premier ENT, to discuss treatment options for acute, chronic or recurrent sinus infections.